Here you will find our Electronic Dartboards and Steel Dartboards and matching Dart Board Accessories Dartmats , Mounts and Stands , Wall Protection and Surrounds . 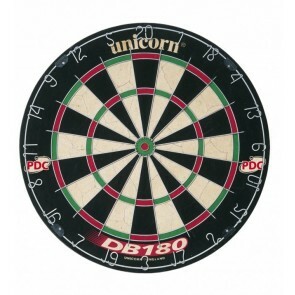 When making the selection, note that the points on the Steel Dart are different from those of the Electronic Dartboards and must be selected by the player himself. You need help with the selection? read more . A throw with a steel dart on an electronic dartboard. That could go in the eye and ruin completely the new dartboard. For this reason, Steel Dart boards and electronic dartboards are each equipped with suitable darts with tips that are suitable for the material of the hit surfaces on the segments of the respective dart boards. BETTER A STEEL DARTBOARD OR E-DART? Especially in Germany, the game on electronic dartboards is the most popular dart machines in the UK. Cheap pubs and restaurants have become popular. Interested dart players can easily join a dart team and compete in a team in a Dart league against other teams. Anyone who has discovered darts as a hobby not only plays in the local pub, but also at the dartboard for home . First and foremost, the dartboards differ between steel and soft dartboards. Further differences lie in the quality of the dartboards. Steel dart boards in particular have large differences in quality, which mainly affect the durability and the hit rate. Soft Dartboard is a bit more versatile due to its wide range of features. I have ample space for adhering to the official distance and the The dartboard height ? Do I have a tournament dartboard with official dimensions? With how many players would I be able to play at the dartboard at the same time? Should the dartboard be incorporated in a cabinet as a Dart Cabinet ? WHAT DOES IT MEAN WITH AN ELECTRONIC DARTBOARD? A good electronic dartboard is characterized by a good selection of games and variants. Furthermore, the dimensions play a decisive role, especially for advanced and professional darters. In the Dart machines on tournaments, the distances for the triple and double segments are always indicated by 2 holes. 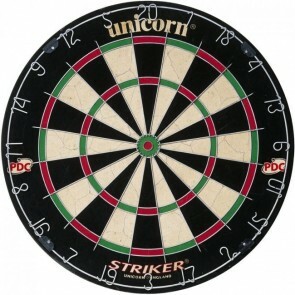 Therefore, it is also useful for trading at home to use a 2 hole dartboard . Another important feature of a good electronic dartboard is the memory function of the games when the power is cut off. Nothing is more annoying when an exciting darts match is ended by a sudden power failure. WHAT DOES IT MEAN AT A STEEL DARTBOARD? 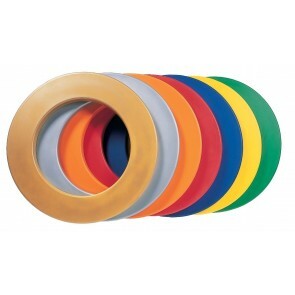 Steel Dart boards are all about the quality of the material the Steel Darts arrive after the litter. The standard steel boards are made of either sisal or cork. The higher the quality of the material, the better the darts get stuck in the glass. Due to the many hits of the Steel Darts on the board it comes after a while to Verschlei &sig; and smaller loosers. For high quality dartboards, such as the Blade 5 Dartboard by Winmau or the Unicorn Eclipse Pro2 these wear and tear are minimal. There are also major differences in the spider for subdividing the segments. Especially if the spider is made of a very thin wire and is well integrated into the material of the board, there are fewer bouncers on hits that land between the individual segments. This property gets the average hit rate. If the lighting on steel boards is not quite optimal, good color processing is important. It is important that you can see the segments of the ejection line well. 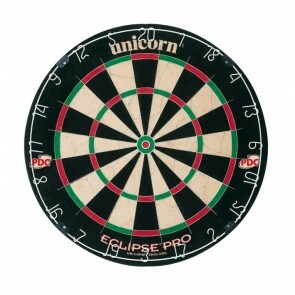 Unicorn has the Unicorn Eclipse HD2 Steel Dartboard new measure. 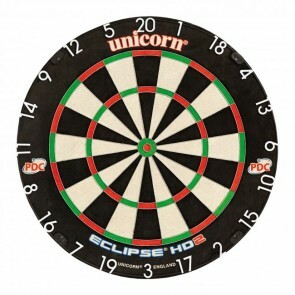 The resolution of this board has been specially developed for HD cameras and is so far unsurpassed and for this reason the official tournament dartboard of the English PDC.